The schedule of this season’s Oakwood Chamber Players Pathways Concert Series will allow listeners to hear classical music amid nature. 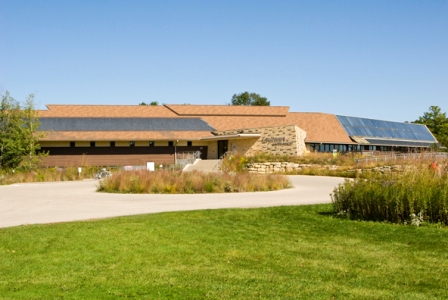 This year audiences may choose between two venues: Saturday evening concerts among the oaks at the Oakwood Village West Auditorium or Sunday afternoon concerts surrounded by the prairie views at the University of Wisconsin-Madison’s historic Arboretum at the Visitor Center (below). As usual, the well known local group will offer eclectic repertoire including rarely heard composers and works as well as classical classics. 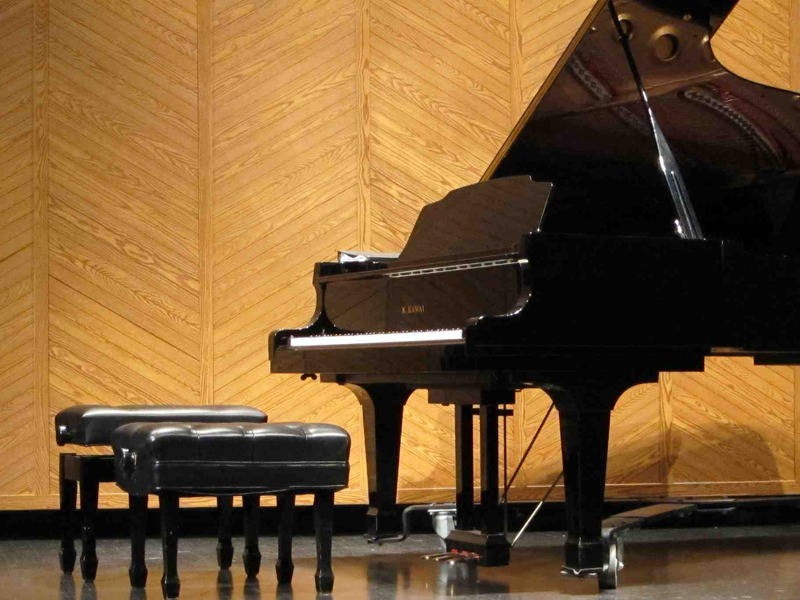 Concerts in the “Pathways” Series include “Summer Stretch” with pieces by Sharma, Beethoven and Brahms; “Lullaby Lane” with pieces by Gershwin, Saint Saens and Foote; “Bagatelle Byway” with pieces by Mayer, Poulenc and Juon; and “Garden Gateway” with pieces by Fine, Stravinsky and Kodaly. Performances will take place at the Arboretum Visitor Center on Sunday afternoons at 1:30 p.m. Dates of the performances are October 3, 2010; February 6, March 13, and May 22, 2011. 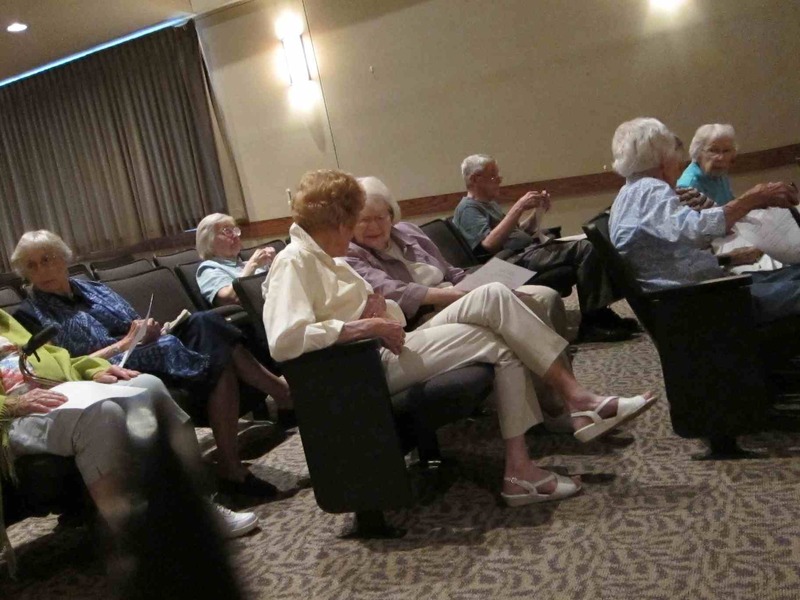 Concerts are held at Oakwood Village West Auditorium (below) on Saturday evenings at 7:30 p.m. on October 2, 2010; February 5, March 12 and May 21, 2011. Season tickets are available by calling (608) 230-4316 and leaving a message with the Oakwood Chamber Players ticket office. Season ticket prices are $60 for adults and $45 for seniors. Season ticket packages include four concerts for the price of three. Individual ticket prices are $20 for adults, $15 for seniors and $5 for students. Tickets are also available at the door, but purchasing season or individual tickets in advance is encouraged due to limited seating, especially at the arboretum. The Oakwood Chamber Players (below) are a professional musical ensemble proudly supported by Oakwood Village Retirement Communities in collaboration with Friends of the Arboretum, Inc.
Players (above) include: Anne Aley, horn; Vincent Fuh, piano; Michael Allen, cello; Nancy Mackenzie, clarinet; Marilyn Chohaney, flute; Leyla Sanyer, violin; Christopher Dozoryst, viola; and Amanda King Szczys, bassoon. All Oakwood members perform actively in the Madison area with the Madison Symphony Orchestra, Wisconsin Chamber Orchestra and an eclectic mix of other professional ensembles. 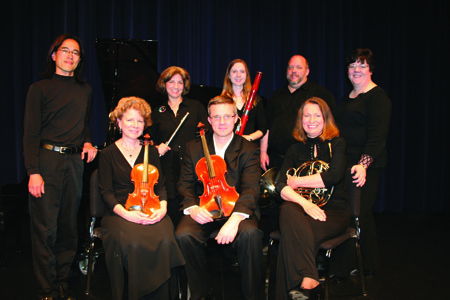 The Oakwood Chamber Players have been performing since 1984.